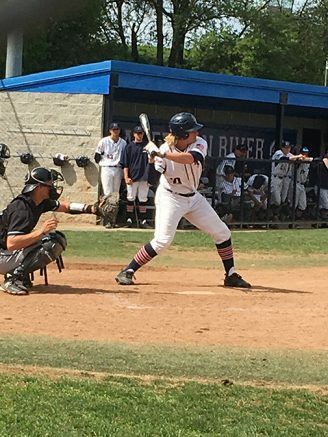 American River College’s baseball team lost to Folsom Lake College 17-8 during a home game on March 30. The Falcons had a strong lead from the start and never let up. During the top of the second, Folsom Lake outfielder Jake Gross singled, allowing first baseman Andrew Williams to get to third base while infielder Anthony Mislinski scored. Gross got to second base when outfielder John Mook reached first on a fielder’s choice, as Williams scored. Mook and Gross both scored when infielder Nate George hit a two RBI double. The Falcons ended up scoring nine runs in the second inning while ARC scored two, putting them in a hole early on. George then scored when infielder Josh Winkler singled a RBI, making outfielder Aidan Malm scored unearned, then both Mislinski and Brewer scored unearned. The game got harder for the Beavers as they continued to give up hits in the top of the third, allowing an Aidan Malm home run and four more hits as the Falcons’ lead grew to 13-2. According to Zabbia, eight runs can win most games, however the team gave up too many runs. “The team can’t take anything for granted, you have to give a hundred percent every inning of every game,” Zabbie said. After the game, right hand pitcher Freddy May still carried a positive outlook. “No matter how much you’re down there’s always room to come back; you can always come back,” May said. The Beavers will play against the Diablo Valley College Vikings on Thursday April, 12 at 2:30 at ARC. Cecilia Castillo Juarez is a continuing student at American River College. This is her first semester on The Current. She is a Journalism major, who is also getting an associates degree in Social Science and a Certificate in Literary Publishing this year. Her goal is to work in Marketing/ Publicity. Be the first to comment on "Beavers get blown away by Folsom Lake"